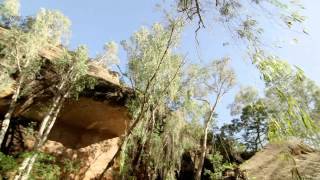 Deep in the heart of the Gulf Savannah region in Far North Queensland is a hidden outback oasis - Cobbold Gorge. 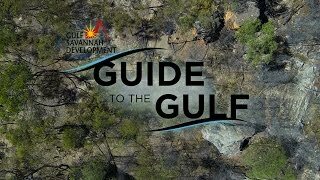 This Savannah Guide Station is located on a working cattle property and features a unique, narrow gorge set amid rugged sandstone formations with spectacular 30-foot cliffs that narrow to just two metres wide. To protect the fragile environment, access is by guided tour only. Cruise the gorge in an electric boat to explore the ancient geology with an expert guide - an awesome and unforgettable experience. Discover wildlife, go bushwalking or birdwatching, spot a crocodile and experience life on a cattle station. There is no need to rough it! Cobbold Village accommodation ranges from recently refurbished air-conditioned ensuite rooms to shady campsites. There are unpowered, powered and ensuite sites in the grassed camping area. MacDonalds Deck Bistro and Bar provides snacks, meals and a bar to relax and take in the peaceful atmosphere. The friendly staff and well-informed guides will help make your visit memorable. If you are limited for time, consider flying in - a well maintained airstrip is located nearby in Forsayth with transfers available at a fee. Getting off the beaten track doesn't mean going without comfortable accommodation. If you are an adventurous grey nomad, on family holiday, with your partner, children or travelling on your own, Cobbold Gorge offers accommodation options and rates to suit every group and budget. "Marriage Friendly Sites"! You will love these drive thru sites where you can stay hooked up or unhook, the choice is yours. Water, power, sullage and individual fire pits throughout. Ensuite van sites, located in a quiet, separate area, are available for those wanting to indulge in some "outback luxury".